Detroit is a delightful place for pie. This fact is strengthened by the fine piesmanship of Nikita Sanches of Rock City Eatery in Hamtramck, as well as Don “Doop” Duprie and Sam Wood of Dangerously Delicious Pies in Midtown. 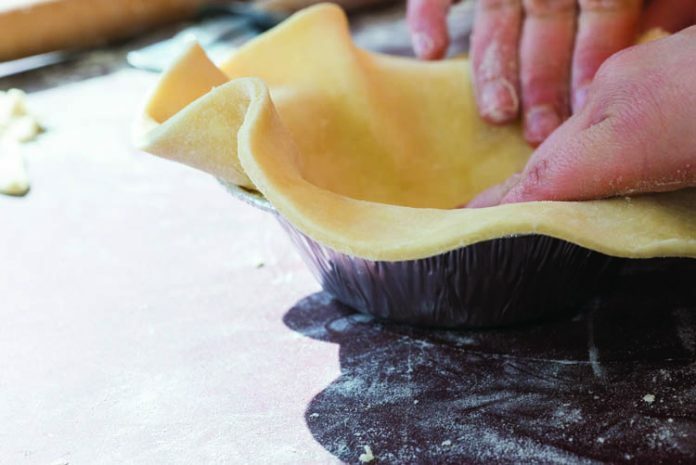 But within the past few years, another brilliant baker has emerged, bringing a creative energy to the dessert table in the form of her friendly neighborhood bakery, Sister Pie. 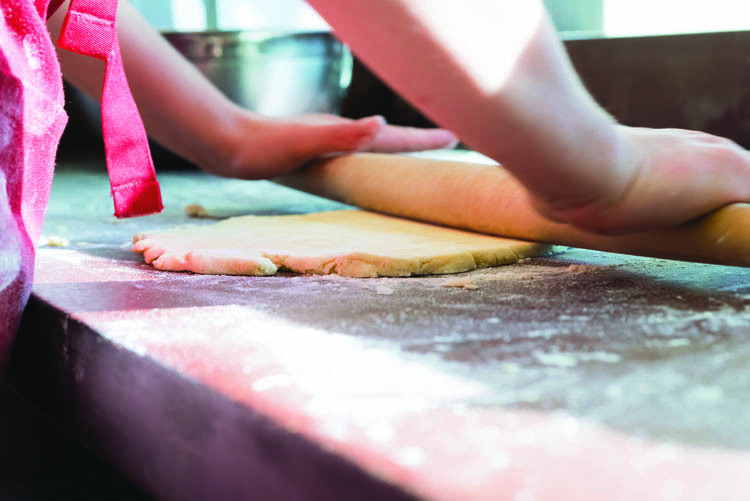 Sister Pie is the brainchild of Lisa Ludwinski, 31, who started the order-based bakery in her parents’ Milford kitchen around Thanksgiving 2012. As popularity grew, Sister Pie moved to Midtown and sold pies, cookies, and breakfast items in shops like Germack Coffee Roasting Company and Socra Tea. 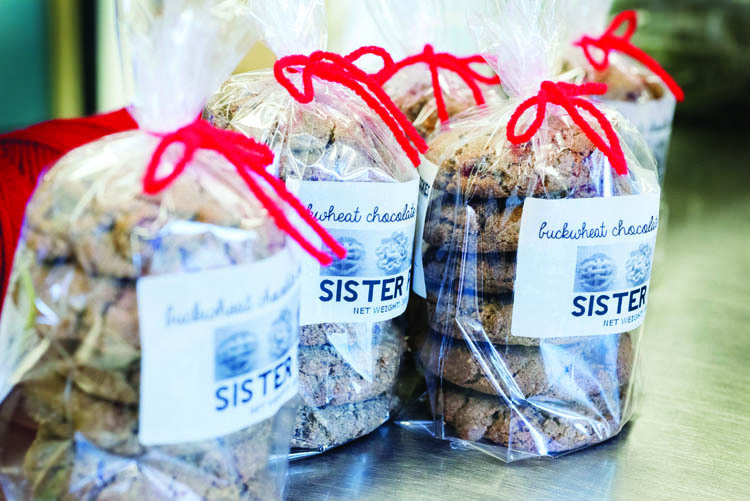 But starting to sell at the Parker Street Market corner store in West Village in April 2014 proved to be a “defining moment” in Sister Pie’s history. So many, in fact, Ludwinski was constantly shuttling pies and treats to restock Parker Street. En route, she fell in love with the neighborhood and decided to put a down payment on a local storefront. It was a big step — and a calculated one. 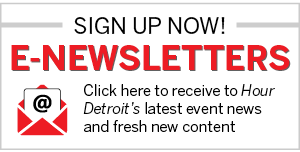 Ludwinski had her eyes set on the 2014 Hatch Detroit contest, which invites entrepreneurs to submit a business plan for a shot at a $50,000 grant. Ludwinski entered the contest before and knew that a commitment to location would be a big plus in the eyes of the judges. Her commitment paid off. Sister Pie took the prize last August, and if all goes according to plan, the brick-and-mortar location will be up and running in April. But enough about business. On to the real piece of pie. Sister Pie’s creations are not typical bakery fare. Sweet pies like apple/sage/gouda or sour cherry/bourbon stand alongside savory hand pies with flavors like black bean and green chili, and tomato, olive, and mozzarella. Buckwheat flour, maple syrup, fruits, and vegetables are locally sourced when possible, and the Plugrá butter-based crusts are always mixed by hand. That passion is impossible to miss on Sister Pie’s social media pages. Amid menus and pictures of pies, Ludwinski posts videos of herself and her fellow bakers taking dance breaks at Eastern Market, in the kitchen, or anywhere the need to boogie strikes. It’s a performance element rooted in her theater background. Sister Pie encourages followers to send in their own #dancebreak videos (an offer this writer couldn’t refuse), which has helped create a sizeable group of fans. “Part of why I wanted to have the shop was to connect face to face with these people who have been following us on social media,” Ludwinski says. That mentality will be reflected in Sister Pie’s new space. Ludwinski plans to install a long communal table she hopes will serve as a gathering place — for customers as well as participants in baking classes and workshops. But those things will come later. For now, it’s still about the food. Visit sisterpie.com or email orders@sisterpie.com.